Get lawyer help now for divorce and domestic spousal abuse issues. Domestic violence is commonly referred to as violent or aggressive behavior by one person used to gain or maintain control over another within a domestic setting. This violent pattern of abusive and possessive behavior typically involves a spouse or intimate partner in a relationship. Domestic violence can come in various forms, including physical, verbal, emotional, economic, psychological, and sexual abuse. While domestic violence is a serious offense in all states, the laws may vary slightly from one state to another. Do you feel you're the victim of any form of domestic violence by your spouse, and seeking legal help to file a divorce? If so, an experienced attorney that handles family law and domestic abuse cases can help. Contact a domestic violence attorney in your area to discuss your legal options today. In many cases, when children are involved in a divorce case where domestic abuse plays a role, a judge will likely award full custody on the side of the victim—given that enough evidence proves that the abusive spouse is a danger and/or threat to the family. Even if a spouse has never displayed an act of domestic violence in the past, due to the intense nature of emotions and frustration involved in a divorce process it is important to be cautious when interacting with your significant other to avoid an potential confrontation. If at any moment you are in fear or experience some form of domestic abuse, you need to immediately put the appropriate legal protections in place. Unfortunately, in some cases when parties consider filing a divorce or find themselves in the middle of a child custody dispute, it is not uncommon for one side to falsely accuse the other of commiting some form of domestic violence in an effort to gain a legal advantage in a case. Any false allegations can have a serious impact on the outcome of the case, especially when children are involved. While it's important that any reported case of domestic violence be thoroughly investigated and protected by the law, it is equally important to defend and protect the rights against any allegations which are not true by an experienced lawyer. According to a National Intimate Partner and Sexual Violence (NISVS) survey report, more than 1 in 3 women, including 1 in 4 men in the United States will be a victim of domestic abuse at some point in their lifetime. If you're feeling helpless in a marriage due to suffering any kind of physical or verbal abuse by a spouse, it is important to remember that you are not alone in this. It is crucial that you seek the proper legal help as soon as possible, to protect the physical and mental well-being of yourself and your loved ones. Are you considering filing for divorce against an abusive spouse? If so, you need an experienced attorney that will fight for your safety and protect your best interest. 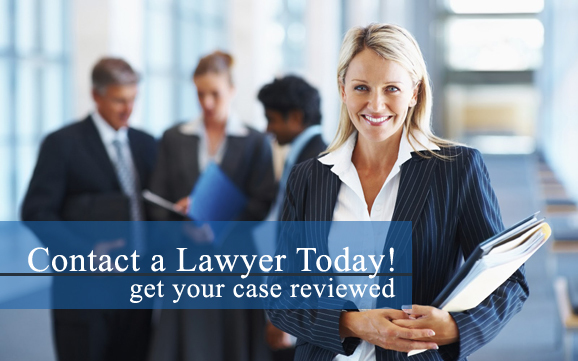 Contact a domestic violence lawyer in your area to begin the process today. Domestic violence impacts millions of people each year. It is estimated that on average, 20 people per minute are victims of physical violence by an intimate partner in the United States, according to the National Intimate Partner and Sexual Violence (NISVS).